OWATONNA, Minn., July 13, 2016 – As part of its mission to promote regional economic opportunities and collaborations, Southern Minnesota Initiative Foundation (SMIF) has invested in 30 Community Growth Initiatives (CGI), typically working with one new community in its 20-county region each year. The City of Albert Lea just completed the process, and SMIF is happy to announce that St. James will be the Foundation’s 31st CGI community in 2016-17. Each CGI community commits to three stages of involvement: community visioning facilitated by SMIF, project implementation, and sustainable operation. The CGI community receives coalition support and project implementation grants of up to $20,000. 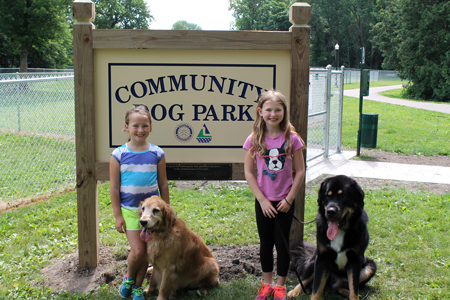 Albert Lea recently celebrated the completion of two projects initiated and funded through its CGI: self-guided historical tours of downtown that utilize smartphones (“Cellfie Tours”) and a community dog park. St. James residents are encouraged to attend the first phase of the St. James CGI; their "Bright Ideas Workshop" is scheduled for August 1 at the St. James American Legion from 5:15-8:30 pm. RSVP to Lori (507.380.8026 or loricnusbaum@gmail.com) by July 22. “This process only works if there is active community engagement,” said Bishop. This is one of the factors SMIF evaluates when selecting new CGI communities. Other outcomes from SMIF CGI communities include: Northfield’s Riverwalk Market Fair; Red Wing Ignite, an innovation and entrepreneur incubator; Lanesboro Local, which provided the town with a grocery market; and Le Sueur’ community vision strategic planning group, which turned into an ongoing community foundation. For more information on SMIF’s CGI Process, contact Pam Bishop at 507-455-3215 or pamb@smifoundation.org.